When planning your kitchen remodeling project, think about layout, function and efficiency. No matter what size or shape kitchen you design, it’s essential to create a kitchen layout that makes cooking easier and more efficient. When planning your new kitchen design, take advantage of every square inch of space. If you’re renovating your existing kitchen, you can gain space with taller overhead cabinets, corner cabinets, and built-in storage racks. If you’re adding on the the house, your options are endless. 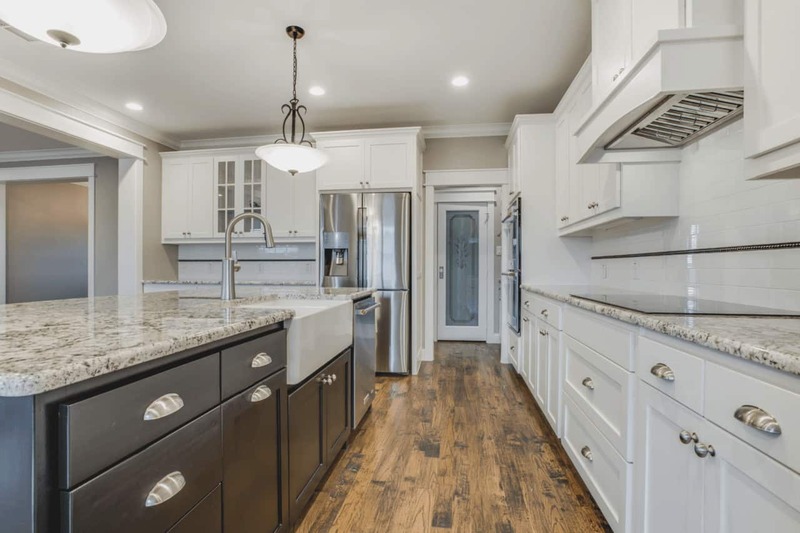 When placing the refrigerator, sinks and major appliances, create a convenient, easy path between them to maximize prep time and cooking efficiency. Make sure you have adequate electrical plugs scattered throughout the kitchen, so you can easily plug in small appliances when you need them. A kitchen remodel requires proper planning, time and effort, and a healthy budget. Your new kitchen should be designed with longevity in mind, so you can enjoy it for the next 20 years before you think about making any further changes. Thinking about your bathrooms too? Visit our Bath Remodel page. 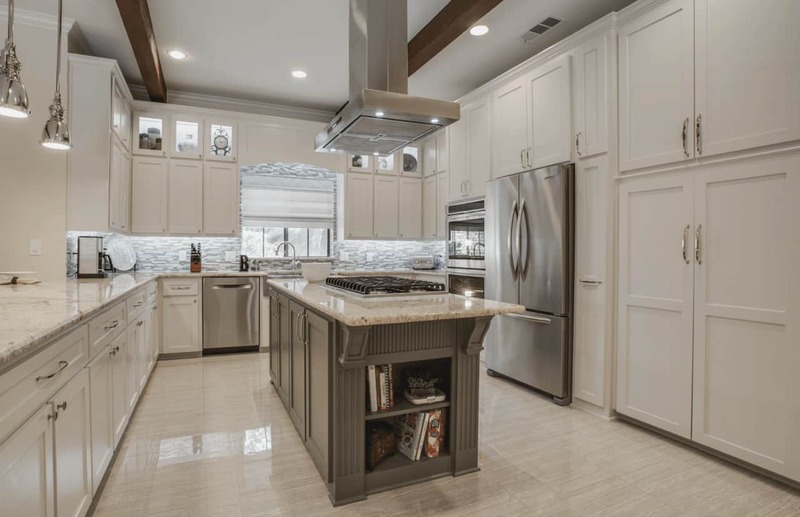 New appliances make up a big portion of kitchen renovation costs, but they are necessary to give an old kitchen updated style and energy-efficient features. When replacing your old appliances, look for new ones that are energy efficient. Not only will they make your kitchen tasks easier and faster, they will save you hundreds of dollars each year on your home energy costs. Look for appliances with Energy Star labels to maximize energy efficiency. Today’s state-of-the art appliances offer homeowners many advantages in the kitchen. Stoves and ovens, microwaves, and small appliances can now be programmed for cooking times and on-off cycles with a computer or smart phone from any remote location. Refrigerators can be programmed to let you know when foods are expired or need to be replaced. You can even program your grocery list through your refrigerator. Just imagine the endless possibilities and joy of cooking with these innovative appliances in your kitchen. 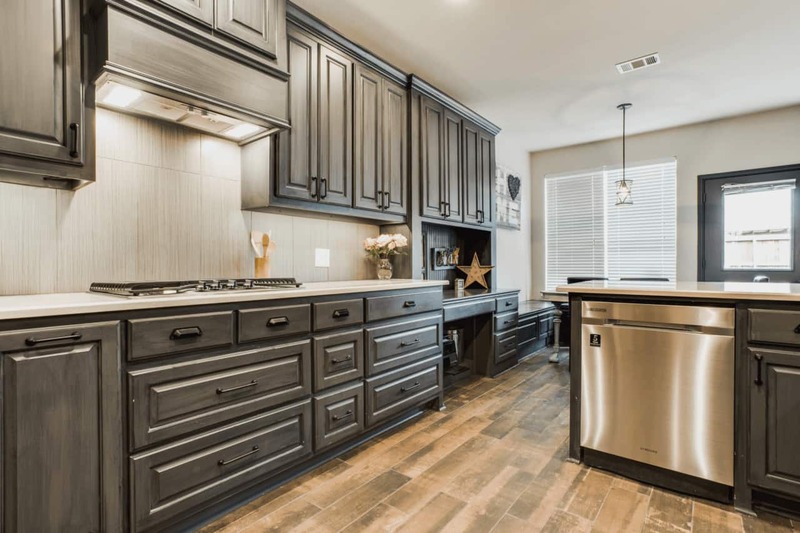 New kitchen cabinets can cost a lot of money, so it’s important to consider your storage needs, lifestyle and budget when choosing cabinet materials. Cabinet boxes are the spine of your cabinets. They hold a lot of weight from small appliances, pots and pans, dishes and food items. If your cabinet boxes aren’t strong enough, your cabinets will break down faster resulting in cracking, chipping and breaking. Most quality, upper-end cabinets are made of quality 11-ply or 13-ply plywood. 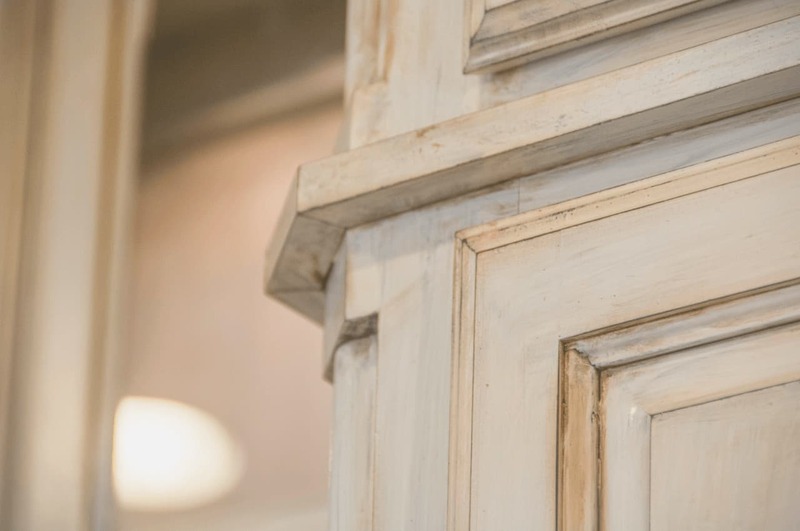 It’s strong, durable, less likely to warp, and easier to refinish or reface. Plywood cabinets are more expensive, but they will hold up well over time in a busy kitchen. Particleboard is a cheaper alternative to plywood. Its smooth, dense core is not likely to warp, but the face material can swell or detach when subjected to steam, moisture and water. Although particle board is heavier than plywood, it can be damaged faster by daily wear-and-tear on drawers and doors. Beautiful natural stones like granite, marble, limestone, travertine, and slate offer organic appeal for any style kitchen. Natural stones come in polished and honed finishes and numerous patterns and colors, so it’s easy to find one that fits your design style. For maximum durability and protection against spills and stains, natural stones should be sealed. There’s a variety of man-made countertop materials on the market such as quartz and concrete. Many are heat and burn resistant, stain and water resistant, and easy to clean and maintain. Unlike old plastic laminate materials, today’s man-made quartz countertops have the look of natural stones and other organic materials. Kitchens are high-traffic areas that take a lot of abuse. As a family-friendly space, a kitchen floor is subject to mud and dirt from shoes, stains from all types of spills, pet hair, and daily dust and grime. With an unexpected spill or broken glass on the floor, you even run the risk of bodily injury. 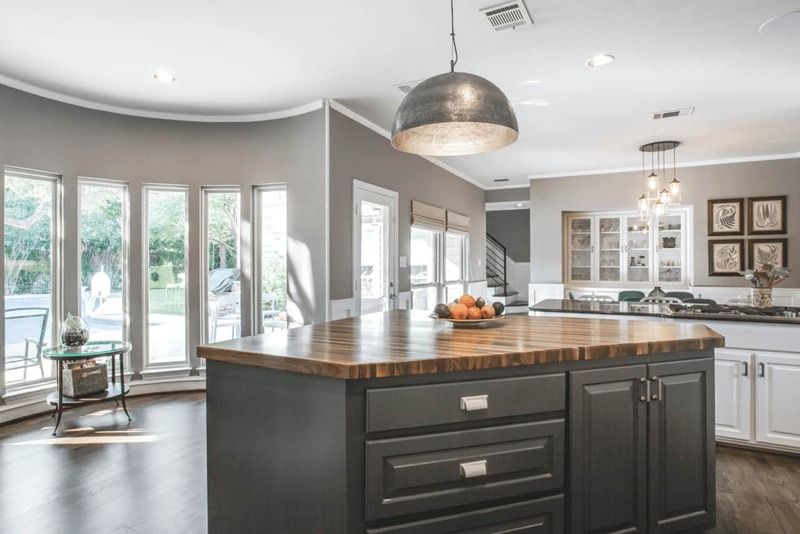 When choosing a flooring material for your kitchen remodeling project, it’s important to think about durability, maintenance, and safety. Whether you prefer the look of stone, tile, wood, or linoleum, your kitchen floor should fit your lifestyle. If you have a large family or love to cook and and entertain, you’ll need a floor that’s easy to clean and maintain. Consider your lifestyle and how much time you spend in your kitchen. Whatever your lifestyle, your kitchen floor will take some abuse if you spend any time in the kitchen. Choose a flooring material that’s easy to clean and maintain. Porous materials will absorb stains easier, light colors will show dirt faster, and hard materials will crack or chip if heavy items are dropped on the floor. To prevent falls, avoid highly polished surfaces on kitchen floors. Opt for materials with texture or honed finishes that provide slip-resistance. Good kitchen lighting is essential for a kitchen that’s functional and practical. 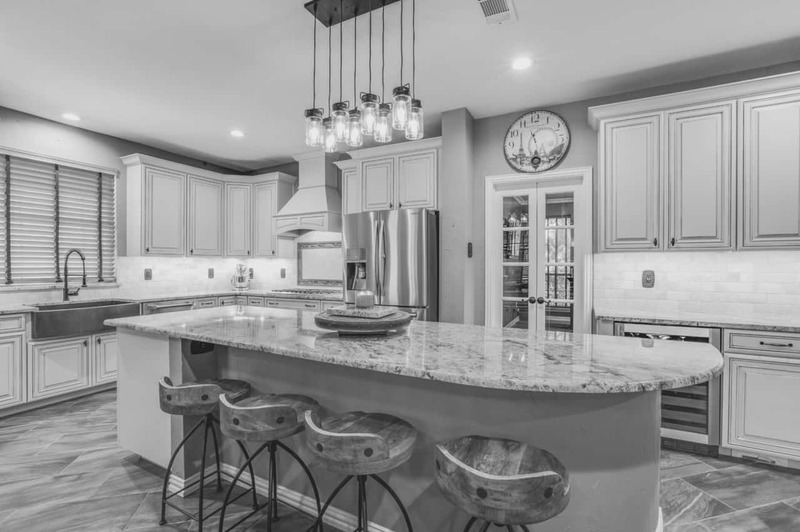 For best efficiency, your kitchen should include a combination of ambient lighting (overhead lighting) and task lighting. Ambient or general lighting should provide adequate overall illumination that lets you to see properly and safely move around the kitchen. It should provide uniform, comfortable levels of light and brightness without glare. Before you begin your kitchen remodel, consider your lifestyle needs and how you plan to use your kitchen. Good planning will create great results and prevent costly mistakes. Thinking of other home improvement projects too? See what else we can do on our home remodeling page. Ready for your very own kitchen remodeling experience? Schedule a visit to showroom today or contact us for an in-home kitchen remodel estimate!